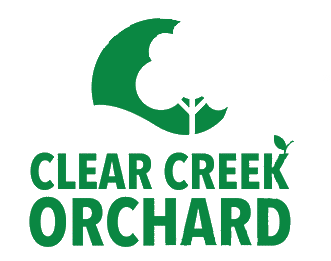 Home - Clear Creek Orchard Inc.
Fragrant & Spicy; from the orchard into making jam. One of our most popular flavors, Seasonal. Apple Red Cherry Jam, 12 oz. Apple Strawberry Jam, 12 oz. Black Raspberry Jam 12 oz. Dark Sweet Cherry Jam, 12 oz. Marion Blackberry Jam, 12 oz. Marion Blackberry - Seedless Jam, 12 oz. Marion Blackberry - Seedless, 12 oz. Red & Black Raspberry Jam, 12 oz. Red Raspberry Jalapeno, 09 oz. Red Raspberry - Peach Jam, 12 oz. Red Raspberry - Peach, 12 oz. Red Rasberry - Seedless Jam, 12 oz. Red Tart Cherry Jam, 12 oz. Strawberry Rhubarb Jam, 12 oz.